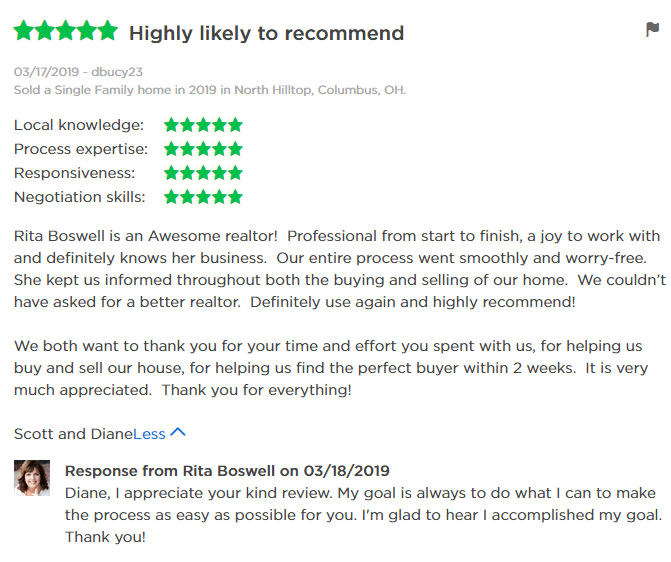 “Rita Boswell is an Awesome realtor! Professional from start to finish, a joy to work with and definitely knows her business. Our entire process went smoothly and worry-free. 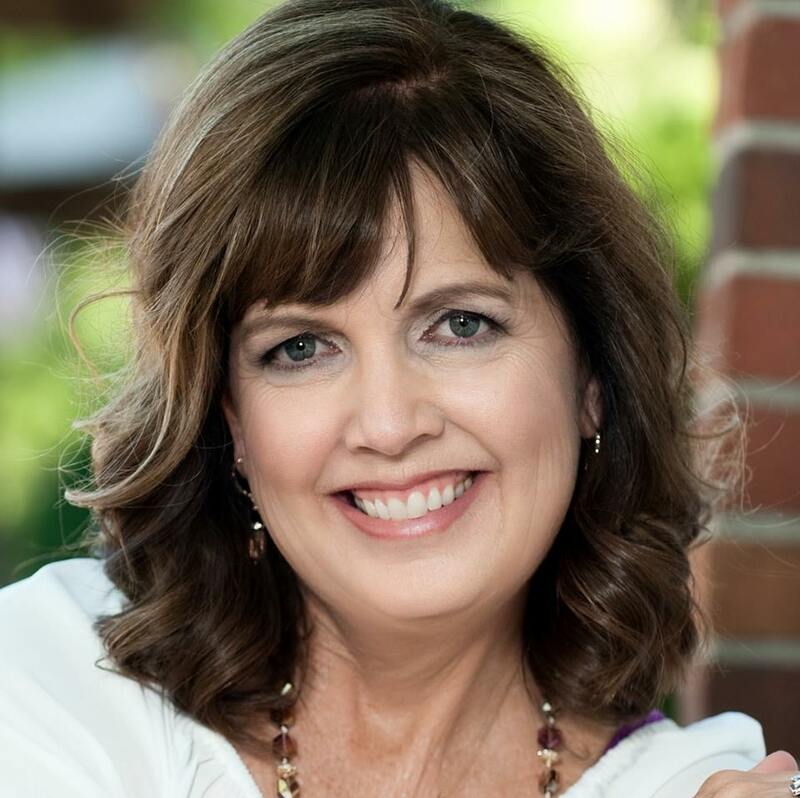 She kept us informed throughout both the buying and selling of our home. We couldn’t have asked for a better realtor. Definitely use again and highly recommend! Scott and Diane bought and sold this home with Realtor Rita Boswell in February 2019. Diane wrote this five star review on Google, Zillow, and Yelp! 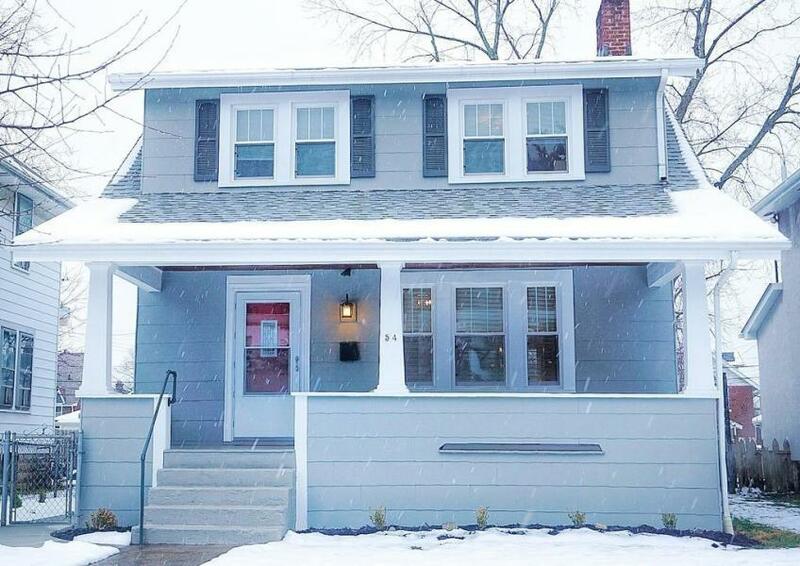 With Rita Boswell as the listing agent, this home in Columbus went from New Listing to In Contract in just 13 DAYS!